Many towns in South Africa can give context to their size, based on how many traffic lights they have along the main road. Sedgefield, for example has 1 traffic light…yes, in the whole town. George has quite a few and so does Knysna. The little town of Wilderness is so small that it doesn’t have a single traffic light. It has just one traffic circle, but that’s it. This means that if you’re looking to slow down and plug into nature, Wilderness is the place for you. 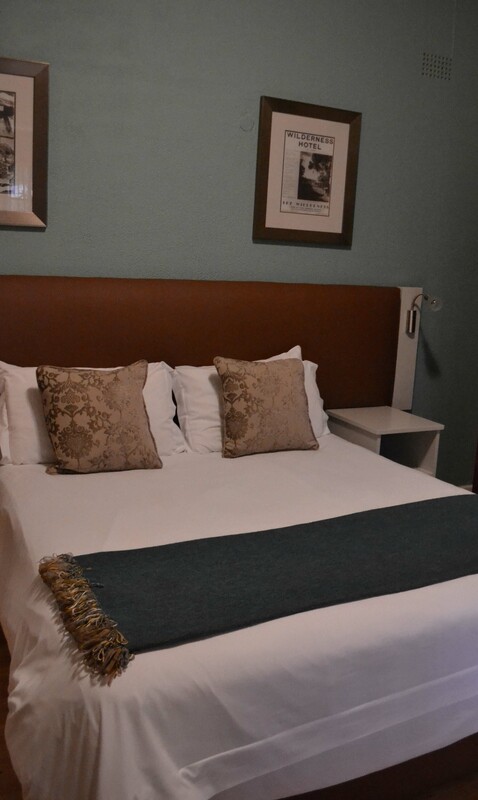 It forms the ideal base for those who want to explore the Garden Route, as it is located between George and Knysna, and you have the sea in front of you and the mountains behind you. People who live in Wilderness love the outdoors. Runners, cyclists, bird watchers and hikers will find this town caters to their every whim and they will have a ball exploring to their heart’s content. We were invited to spent 2 nights in The Wilderness Hotel while we road tripped through South Africa and it was the ideal stop between Port Elizabeth and Cape Town. The staff went out of their way to ensure we had a pleasant stay and they even made a plan to store our bicycles for us. Since we had never explore Wilderness before, we didn’t realize that there were two hotels with similar names, so we embarrassed ourselves trying to check into Wilderness Beach Hotel. Once we cleared up the confusion, the receptionist helpfully pointed us in the right direction and we headed to the correct hotel, further down the road. While we love staying at hotels, it does increase our budget a little as we then need to find a way to keep everyone fed without having access to a kitchenette. Fortunately, before we left our last stop, I made sure we had a good breakfast and a whipped up some flapjacks for lunch, so we were okay for the first day. Of course, since we’d only had flapjacks for lunch, we were keen to find a decent meal for supper and, since we checked in on a Friday, we could take advantage of the amazing supper buffet special, that the hotel hosts every week. Since this special changes every week, I won’t bother to go into detail but all you need to know is that, if we spend a weekend at Wilderness Hotel, you won’t be disappointed by having supper in house on Friday night. Yum! After a lovely night’s sleep in our adjoining bedrooms, we enjoyed a delectable breakfast before heading out for the day. While we were killing time the day before, we met up with Moeksie who we had befriended at the #MeetSouthAfrica National Instameet in Graaff Reinet last year. We bumped into her while we were walking along the disused railway line between Wilderness and Victoria Bay and we quickly made plans to meet up the next day. 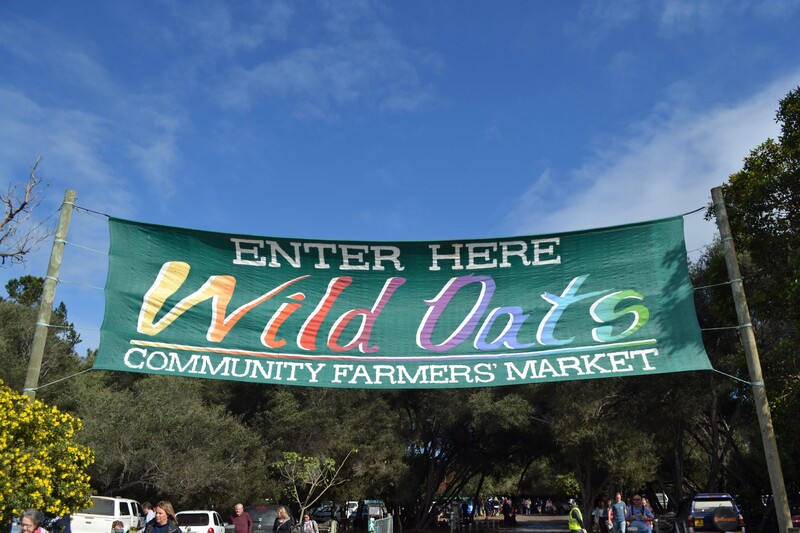 When Moeksie called us before breakfast, she suggested we join her at the Wild Oats Farmers Market in Sedgefield later on and we were happy to agree to that plan. We didn’t realize that the property that hosts the market actually includes 2 other markets within walking distance of each other. And, while the Farmers Market closes at 1pm, the other markets stay open a little later. 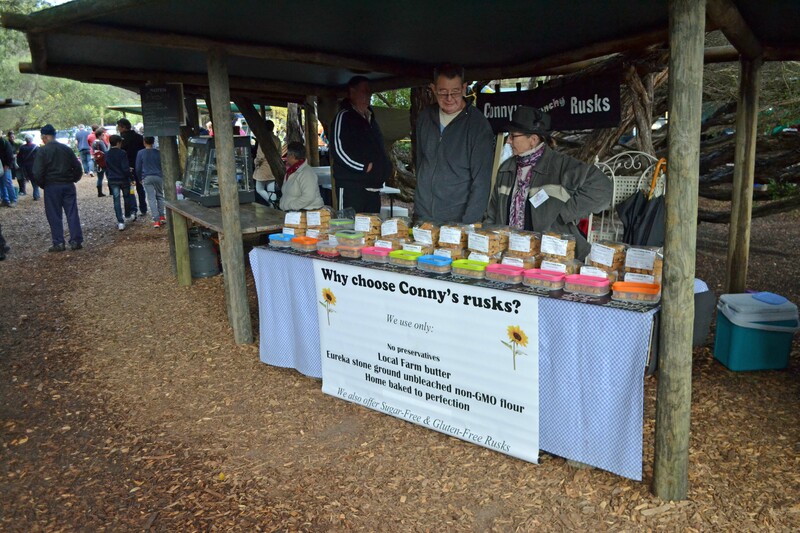 Like with all markets, the early bird catches all the best produce so, with us having a late start, some of the stalls were already sold out. I did manage to secure some farm fresh butter for just R35 (500g) and 2-for-1 Red Berry Farm strawberries for R20. Unfortunately, the lady who sold the butter had sold all her fresh cream so, after getting some brilliant advice about strawberry storage, we headed off to explore the other markets. 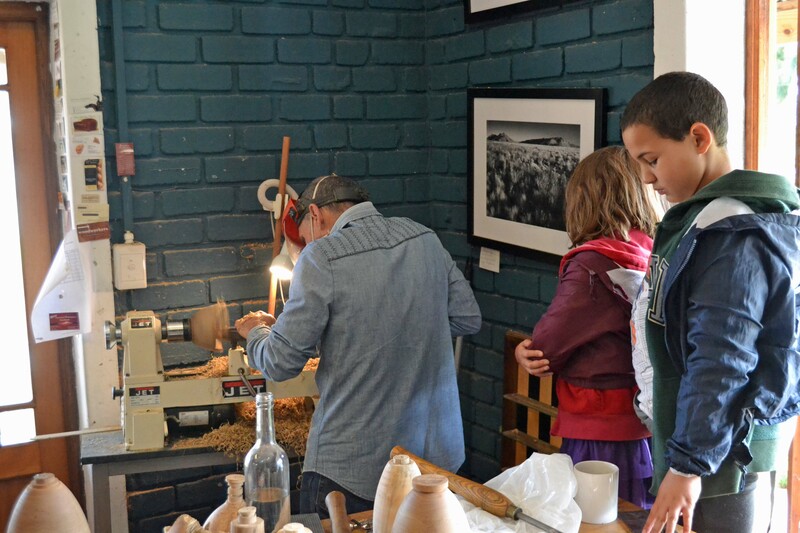 Homeschool on the road: The kids learned about how a block of wood gets turned into a bowl using a lathe. 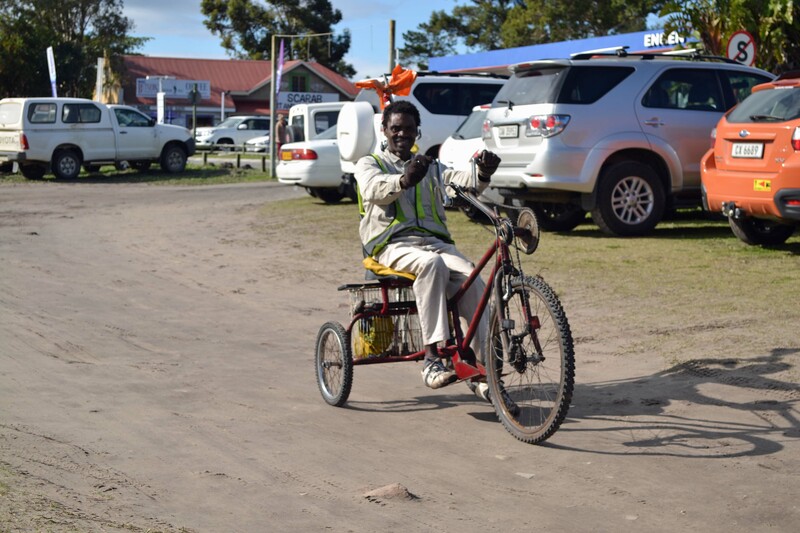 There was so much to see and it is a great way to get to know the Garden Route community. Every stall holder has a story to tell and you can learn so much about people by just taking the time to chat. After grabbing a late lunch in Sedgefield, we headed back to the hotel to relax and veg out in front of the TV. Since the kids had their own room with their own TV, bathroom and coffee & tea facilities, we were happy to spend a bit of time watching some grown up TV in our room, while they watched kid friendly movies. What a great way to end off our road trip. While we choose the self catering option for budget reasons 95% of the time, staying in hotels is such a treat and we wish we could enjoy it more often. Wilderness Hotel, your stunning facilities and professional staff have won my heart. We can’t wait to visit you again in the near future. 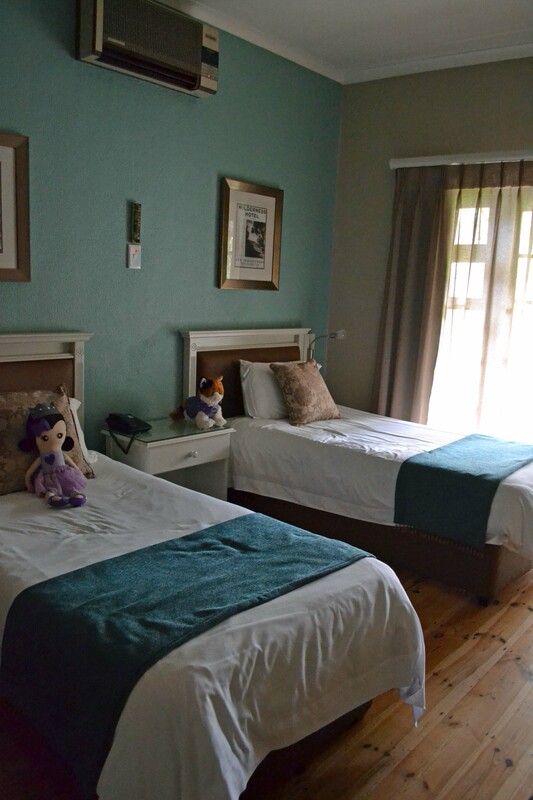 To book your stay at The Wilderness Hotel, click on the link below.